Can Cats get Lyme Disease from Ticks? Lyme disease is relatively unheard of in cats. Yet, as a cat owner, you need to be aware of this fatal disease particularly since it is known to lead to heart disease as well as kidney failure in cats. Moreover, treating the disease becomes hard since the symptoms keep coming back when not nipped in the bud. So, if you have been wondering “can cats get Lyme disease from ticks”, the answer unfortunately is, ‘Yes, they could’. Let us study feline Lyme disease signs and symptoms and also effective Lyme disease treatment and prevention in cats. Pain in joints and stiffness in back- your cat might protest upon being picked up. Feline Lyme disease often goes unnoticed for long periods owing to symptoms which are common with various other conditions. Also, the Borrelia burgdorferi organism often does not manifest itself in form of symptoms for several weeks, especially since there are several combinations of factors that actually lead to the disease. This includes the pet’s medical history of other illnesses, the immunity and overall health of the feline etc. Also, many vets hesitate to order antibodies test for Lyme disease, and even despite such a test, the diagnosis might not be accurate since the organism might be present in cats that are not at all sick. Also, false negatives in such tests are very common. Hence, more stringent testing such as X-rays, urine cultures, testing of joint fluid and so on becomes necessary. 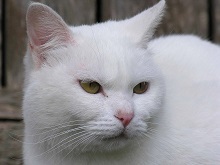 Typical Lyme disease in cats’ treatment includes antibiotics such as Doxycyline. If your cat is very young or even pregnant or nursing, then the vet might prescribe amoxicillin. Both classes of antibiotics are relatively inexpensive and generally well tolerated by animals. You will notice improvement in your cat’s arthritis symptoms within a day or two of starting the medicines. Despite this, you must continue the treatment (most vets prescribe the antibiotics to be given for a period of 2-3 weeks and some even recommend giving the drugs for up to 8 weeks!) as failure to do so might bring back the infection. The problem with Lyme disease in cats treatment is that, despite these antibiotics, the disease often comes back. Many pet owners, for example, start noticing lethargy, stiffness in back and joints, and other classic Feline Lyme disease symptoms within a year of the diagnosis of the infection. Thus: there are many questions about Lyme disease in dogs and cats treatment. Many studies have shown that dogs, despite being treated with antibiotics, continue showing the signs of Lyme disease for years. There is also a debate surrounding the use of IV antibiotics for treating Lyme. Not only are these very expensive, they may also be unsuitable to smaller dog and cat breeds. Thirdly, as stated before, animals might show presence of Borrelia burgdorferi organisms in their blood, but may still be asymptomatic. Naturally, the question is, should such animals also be treated proactively? Studies conducted on dogs living in areas where Lyme disease is prevalent have showed time and again that nearly 85% dogs carry the Borrelia burgdorferi organisms while being asymptomatic. The risk of not treating these means that tissue and joint damage might occur slowly in these animals. It is therefore very important to know that early and proactive Lyme disease treatment ensures greater chance of reversing damage and restoring your dog or cat’s good health. The best way of ensuring that your cat remains safe from Lyme Disease is to prevent and repel ticks causing it in the first place. You could use tick collars as well as tick control shampoos, sprays and powders on the pets as well as its’ surroundings. This will ensure killing off the tick eggs and larvae. It is important to treat your yards with organic, food grade diatomaceous powder as well as with beneficial nematodes. You must also de-clutter and mow your lawn regularly including around the fences to reduce hiding places of rodents, mice etc that usually carry such disease harboring deer ticks. You must also check your cats daily for ticks. You could make use of flea combs to remove fleas and ticks. Do browse through this website for best tick control products to help prevent feline Lyme disease in your cats.